Content Update 5763 [May 2003ce]. Pardo Families of Monastir There were many families with the Pardo name in Monastir, and they left at various times for all points of the globe. Listed here are what we know about some of them. Pardo Family of Monastir, Mexico City and New York. Other families included are Alhanti, (Isaac) Calderon, Camhi, Mayo, Raphael/Rafael, Sarfati. Pardo in Palestine. One or more Pardo families emigrated to Ottoman-controlled Palestine prior to 1839. Isaac Sabetay Pardo family. Related families include: Alva, Levy, Rabeno, Russo. Pardo Mayo Family This family emigrated from Monastir to Mexico and the US. This family tree is a dramatic and vivid illustration of continual inter-mingling of both related and unrelated families with the same family name. Three different sons of Jacobo Pardo and Miriam Mayo married women of different branches of the Aaron Camhi family. The following material contributed by Eli Raphael, enhanced by recollections from Lillian Cassorla. Supplemented, May, 2003ce, by Scott Albert Pardo, supplemented with information from Jane Reader of the Michael Calderon family. Sophie was a daughter of Aaron and Rivka Camhi, of Monastir..
Jack is buried in the Monastirli section of the Mt Carmel Cemetery in Queens, NY, USA. 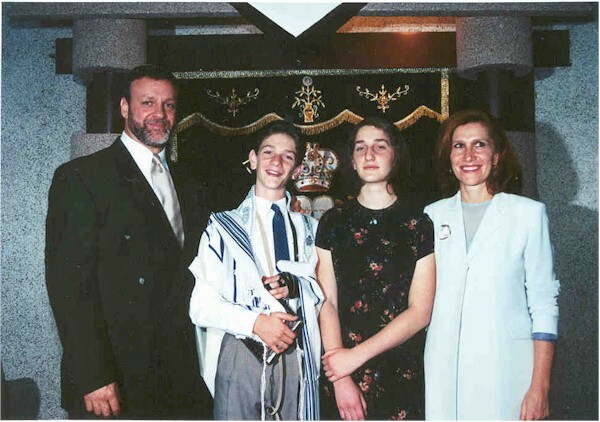 Becky married her uncle Meir (see below)—her father's younger brother. Becky and Mario were married December 1932, and had three children. According to the practice in most Spanish-speaking countries, since Mario's mother's maiden name was Mayo, he was addressed as Mario Pardo Mayo, and his family is known as the Pardo Mayo family. Alicia and Salomon were married 03/21/53 in Mex DF (Mexico City), and had three children. Some members of this family use the "ph" spelling, and others use the "f". Formerly of 101 Allen St. in NYC. Active in The Sephardic synagogue of Cedarhurst. Morris Calderon was a son of Isaac Calderon..
Miriam Camhi was a daughter of Boulissa and Ben Sion Camhi..
Miriam and Salomon were married in New York. Settled in New Lots among countrymen. Lived on Malta Street. Solomon was the President of the Monastirli Williams Ave synagogue for many years. Solomon's brother Joseph was married to Miriam's aunt, Sophie. Susan Alhanti's family were Izmirlis. Marion passed away prematurely at the age of 35. Betty Rothenberg Pardo, was also related to the Sarfati family. Her Paternal Grandmother was a Sarfati. Becky was Mario's niece (see above). The Pardo Mayo section originally assembled Friday, December 29, 2000ce from material provided by Eli Raphael, supplemented by recollections of the New York members by Lillian Cassorla. Pardo Families Living in Jerusalem in 1839ce The following material was extracted from a transcription of the 1839 Jewish Census of Ottoman-controlled Palestine by Sir Moses Montefiore. For more information about the source of this information, and data on other families from Monastir documented in the Census, follow this link. These two Pardo listings appear, with no hint as to whether they were related in any way. From the second entry, one can surmise that at least some Pardos were/are Leviim. David's wife's name is not listed. David was 45 in 1839ce, so was born in Monastir in 1794ce. He arrived in the Holy Land in 5574 (1813-1814ce), at the age of 17. At the age of 45, his occupation was not given. David Pardo's family included one son. Haim is listed as 17 years old in 1839ce, so was probably born in Palestine in 1822ce. Todros's wife's name is not listed. Todros was 45 in 1839ce, so was born in Monastir in 1794ce. He arrived in the Holy Land in 5591 (1830-1831ce), at the age of 37. At the age of 45, his occupation was listed as "Craftsman." No children of Todros Halevi Pardo are listed in the Census. Copyright © 2000, 2001ce by Elie Cassorla (Eliyahu ben haRav Moshe v'Leah). ALL RIGHTS RESERVED.